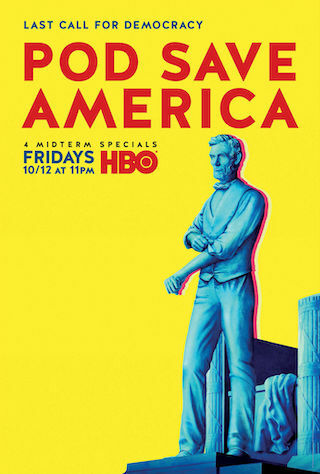 Pod Save America is an American 57 minute talk show television series, which kicked off on October 12, 2018, on HBO and is broadcast every Friday at 23:00. The show is currently in its 1st season. More than ever before, politics affect the lives of Americans. It dominates headlines and the news cycle, in turn creating a glaring need for discussions to include fresh, thoughtful voices. The hourlong specials are taped in front of live audiences and nclude freewheeling conversations about politics, the press and the challenges posed by the Trump presidency. The hosts discuss the week's news events, there are pre-taped field pieces highlighting local issues, and guests include journalists, politicians and activists.